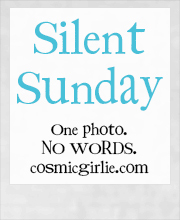 This entry was posted in Lake Pictures, Silent Sunday on March 1, 2014 by Lou. That looks quite stark with the dirty snow. Nice to see the flash of colour from the lighthouse. It’s actually well over a foot of solid ice, I’m wondering if it will ever melt so I can take a walk to the end! Looks very tranquil. Great capture. This is a bleak looking scene, but picturesque nevertheless. Is this also a lake view? Makes Windermere look like a puddle! Yes it’s Lake Ontario. It took us about a year to stop calling it the sea as it’s so enormous it doesn’t seem possible that it’s a lake! Stark and quite picturesque too. Makes me want to put on a warm, cosy jumper! Beautiful photo of the lake – although it does make me want to wrap up warm too! Sure have, we’ve had snow cover for 83 days and counting, green grass is a distant memory! I honestly feel cold to the core looking at this picture. Brrr – it makes a great scene though!